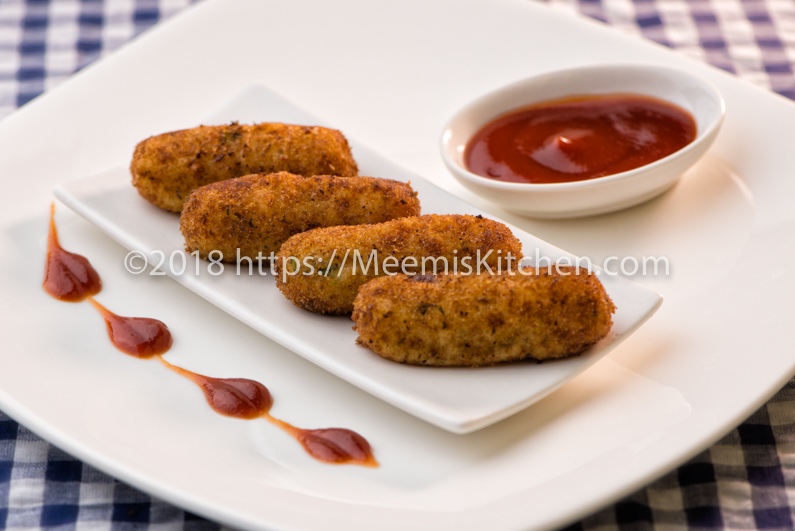 Crispy Paneer Fingers or Paneer Cutlets are easy to prepare vegetarian snacks that are delicious and crunchy, great as starters or evening snacks for kids. These crispy Paneer Fingers are easy to prepare and perfect to serve with your evening cup of tea. This crispy vegetarian snack can be served as appetizers for get together and house parties. Paneer is mixed with potatoes, herbs and deep fried to make perfect golden Paneer fritters! You can prepare Crispy Paneer fingers in advance, refrigerate; fry and serve hot with Tomato sauce and delight your guests. Paneer is good source of protein, calcium and phosphorous which are great for growing kids. Do check my other Paneer recipes like Paneer Butter Masala, Paneer Khorma, Palak Paneer, Chilli paneer, Paneer Mattar, Paneer Pulao, Tomato Paneer Pulao etc. Instead of deep frying these crispy Paneer Fingers, you can try shallow frying or baking them for a healthier version. For baking, spray little oil and bake at 200oC for around 15 minutes to get crispy golden cover. 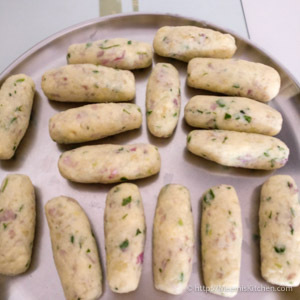 If you are looking for kids-friendly snacks, try Chicken Momos, Banana fritters, Meat rolls, Chicken cutlets, Cheesy croquettes, Masala Vada, Vegetable Spring rolls, Chicken Samosas etc. Kids love finger snacks more than anything else and it is mess free way to satisfy hungry kids. So here is the simple, deliciously crispy Paneer fingers recipe, with just a handful of ingredients. Try and let me know how it turned out for you. As I always say, your feedback is what motivates me and drive me to do more. Have a great snacky day! Boil the potatoes and keep aside. Cut the Paneer into cubes and crush in a grinder. Chop ginger, green chillies, onion, curry leaves and Coriander leaves finely. Mix together all the chopped ingredients, coarsely powdered Paneer, mashed potatoes, pepper powder and Garam Masala with enough salt. Shape into bite sized fingers or round cutlets. Mix Maida/ Flour with water to make a thin batter. 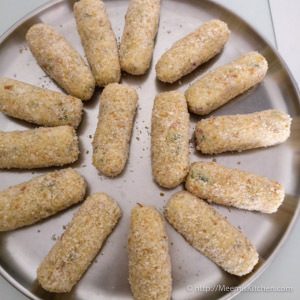 Dip the Paneer fingers in this batter (you can also use beaten egg) and roll in bread crumbs. Fry in oil till golden brown. Serve them hot with Tomato sauce. Grind Paneer only for few seconds to get a grainy texture. 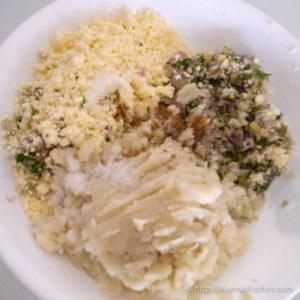 If you feel that the mix is too soft add little Corn flour or bread crumbs to make firm cutlets. Shape the Paneer mix to fingers or rounds or any shape you like. The Maida batter should be runny without any lumps. You may also use beaten egg instead of Maida batter. Enjoy the delicious and nutritious Crispy Paneer Fingers with your hot cuppa. Please let me know your feedback and suggestions if you like this recipe and share with your friends using the share buttons below. It would encourage me to share more yummy recipes. Thanks and God Bless!! Thanks for the recipe…..will try baking which is healthier anyway…thanks for the gesture. That is great Teny. Happy to hear that. It is indeed very easy to prepare. Thank you for your feedback. Keep Visiting !